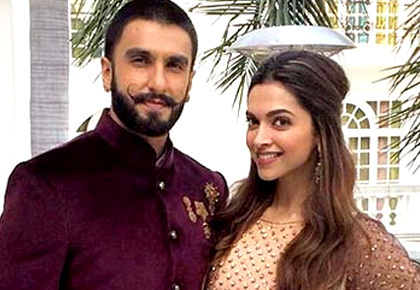 Rediff.com » Movies » Where will Deepika-Ranveer live after the wedding? The couple doesn't have a 'dream house' yet! There were reports that Deepika Padukone and Ranveer Singh have bought their dream house in suburban Mumbai. But the truth, a close friend of the couple tells Subhash K Jha, is that their dream house is yet to materialise. "They haven't had the time to look around seriously for the house that they'll share after their wedding. They did look at some property. But nothing major, no decisions taken. They will hunt around seriously for what the media refers to as their dream house after they return from their wedding," says the couple's friend. Both Deepika and Ranveer have taken time off to be together after the wedding. One hears Ranveer will move out of his parents Anju and Jagjit Singh Bhavnani's Bandra, northwest Mumbai, apartment and move into Deepika's current apartment in Prabhadevi, south central Mumbai. What will Shahid-Mira wear to Deep-Veer's wedding? What will Deepika Padukone wear on her wedding day?